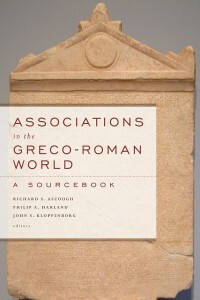 Relevant inscriptions on this site: IG II² 1368. 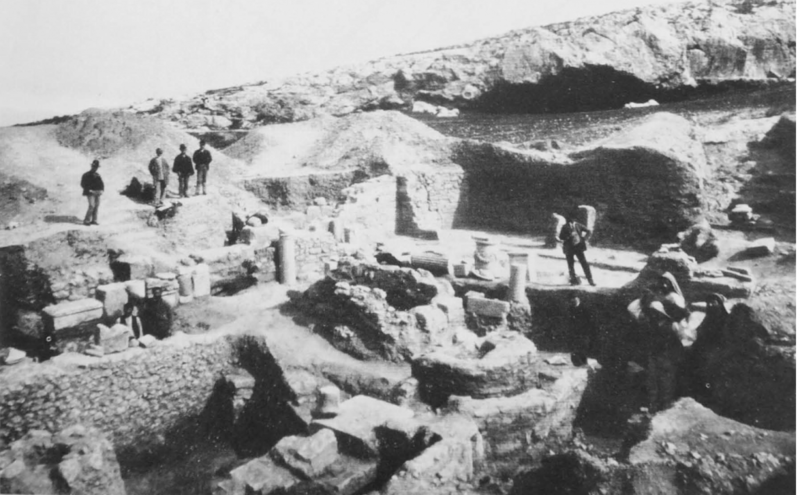 The rectangular hall of the Iobacchoi measures 11 m x 18 m and has two rows of columns with a quadrangular apse (semi-circular recess) on the eastern end, which is where the column with the regulations of the Bacchic devotees inscribed on it was found. The altar in the apse is decorated with Dionysiac scenes, including a sacrificial goat, a satyr (male attendant of Dionysos), and a maenad (female attendant). 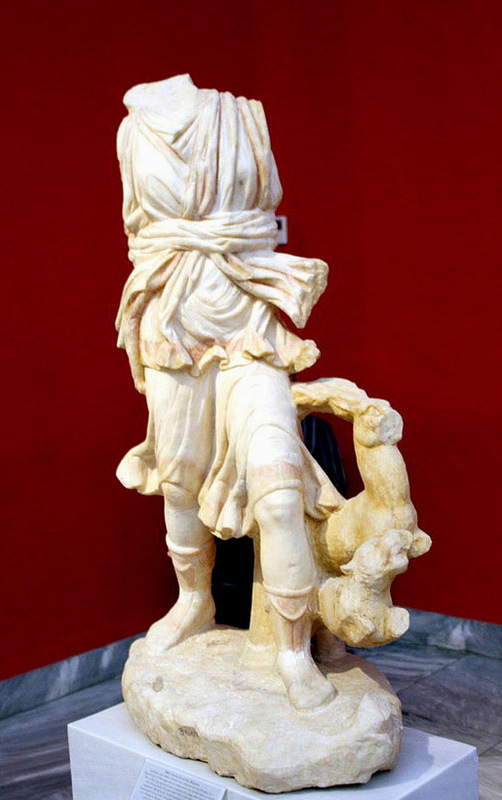 A fragment of a statuette of Dionysos was also found in the building. 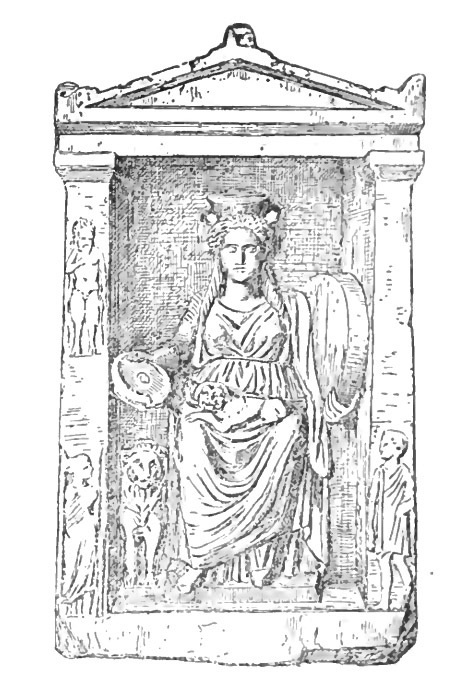 Objects involving other gods that were discovered within the building include a statuette of Pan, a statuette of Aphrodite, a statuette of Artemis, an altar with two Pan-figures, an altar for Artemis, votives for Cybele, a statuette of Athena Parthenos, a relief of Athena, and an altar for Hadrian (on these items, see the images below and see Schräder 1896 and Schäfer 2002, 189-202). 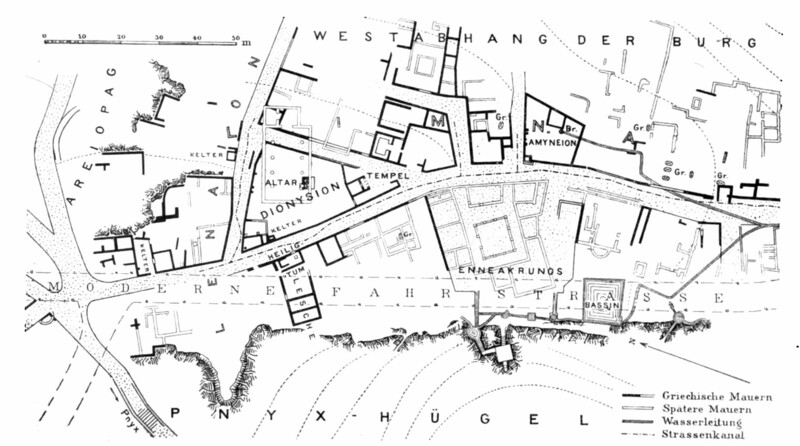 Building location of Amyneion and Baccheion (within the Dionysion area). 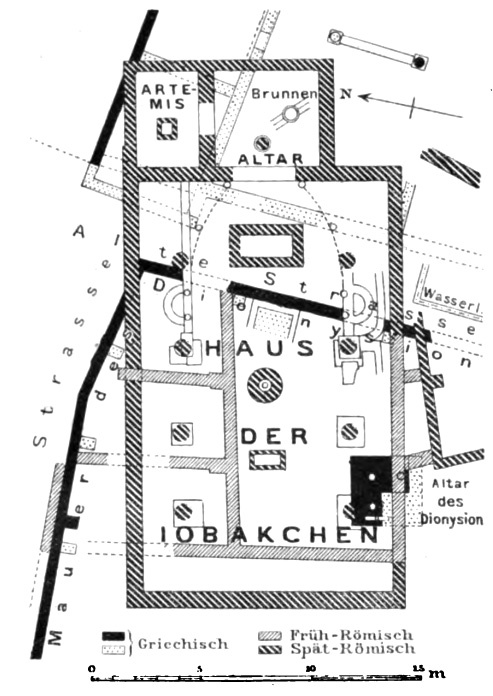 Building plan of the Iobacchoi. Judeich 1905, 261. Public domain. Photograph of the excavation site of the Baccheion taken in 1894 (Deutsches Archäologisches Institut). Public domain (derived from Travlos 1980, 374). 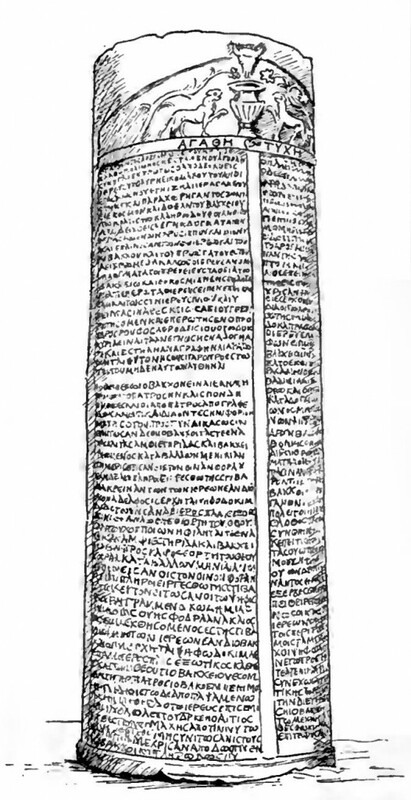 AGRW 7: Column with the Regulations of the Iobacchoi from Athens (from Jane Ellen Harrison, Primitive Athens as Described by Thucydides [Cambridge: Cambridge University Press, 1906], 90, fig. 25). Public domain. 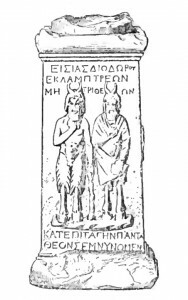 Naiskos votive of the goddess Cybele found in the building of the Iobacchoi. 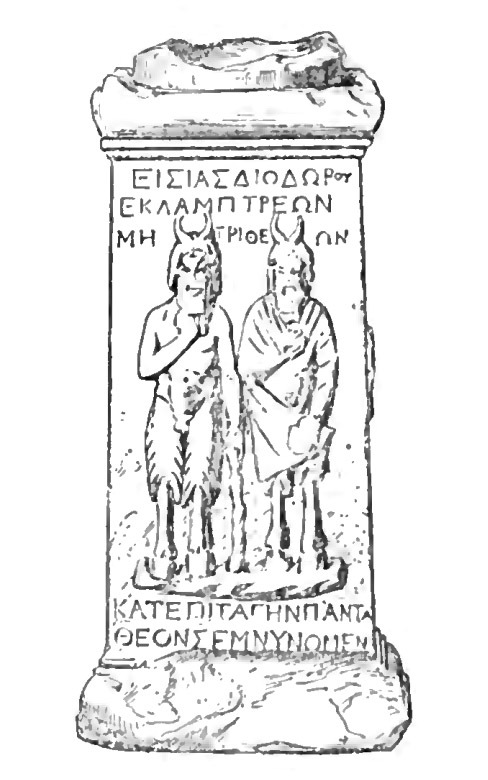 Statuette of Artemis found within the Baccheion (= Schäfer 2002, A13). Photo by Giovanni Dall’Orto. Used under a Creative Commons license. 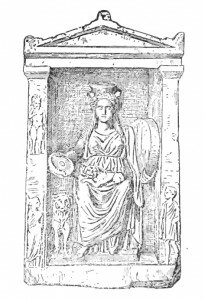 Altar with two Pans found in the building of the Iobacchoi. Schräder 1896, 275 (= Schäfer 2002, A16). Public domain.